**Please note previous messages in the Luke Series were lost due to technical difficulties…. Have you noticed that a lot of churches are becoming more like the world? In fact, it has become increasingly difficult to distinguish the church from the world. Jesus tells us in Matthew chapter 5 that we are to be SALT and LIGHT of the world. Think of the church as a BOAT and the world as the WATER. A boat was meant to ride above the water, but there’s a problem when the water begins to seep into the boat. I believe this is happening to a lot of churches on so many fronts. We are to be the SALT and LIGHT of the world and yet it seems like the church has lost its “saltiness” and is “hiding” its light. People outside the church say, “I’m tired of hearing about sin,” and the Church is like, “OK, and we’ll stop talking about it if you’ll just come to church.” So now the church in many places stands for absolutely NOTHING. Please don’t misunderstand me. I am NOT saying that we (as a church) should be known for what were against. I ALWAYS want to be known more for what we are FOR more than what we are AGAINST. Yet at the same time I don’t want to back off of a subject just because it’s not politically correct. 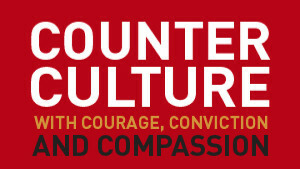 That’s one of the reasons I have been doing a group book study on David Platt’s book, “Counter Culture.” I love the complete title to the book. 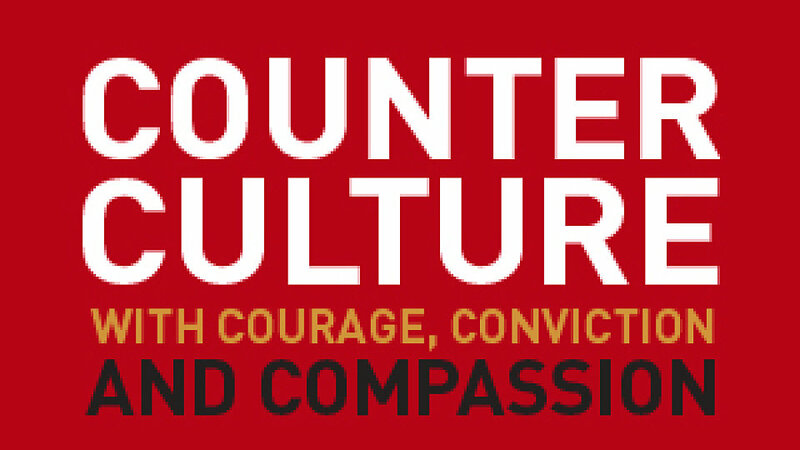 The first part in little letters says, “A Compassionate Call to… COUNTER CULTURE.” If we want to counter culture we have got to be COMPASSIONATE. Someone once defined compassion as “Your Pain in My Heart.” That is a great way to think of it. Compassion is allowing ourselves to actually feel what another person is going through. A lot of times that is what is missing when the church confronts the culture in which we live. Jesus was known for His compassion. The Bible talks about how He had compassion on the people because they were like sheep without a shepherd. We need to ask God for that same type of compassion. David Platt’s book challenges the reader to allow God to give us three things: (1) Conviction (2) Courage and (3) Compassion in confronting today’s culture. If any of those three things are missing we cannot really be effective in demonstrating the heart of Christ. The challenge I would like to lay before you is to ask God for HIS heart. Ask Him to see the world the way He sees it and ask Him for the conviction and courage to ACT in the way He would act.